We’ve released version 2.0 of The Toll Roads’ award-winning app to make paying tolls more convenient. The version’s new functions will make driving The Toll Roads easier after cash toll collection is removed from the roads in May 2014. The app’s latest update allows customers to sign up for and manage one of the three new ExpressAccount™ types and/or use the new One-Time-Toll™ payment option from their device. The app continues to allow users to sign up for and manage a FasTrak account. The app can be downloaded from the Apple App or Google Play Stores by typing “FasTrak” or “The Toll Roads” in the search function. TCA was the first toll road operator in the nation to offer an app for toll account management. 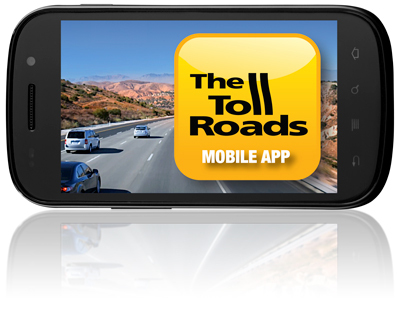 Since its original release in May 2012, nearly 100,000 customers have downloaded a version of The Toll Roads app. To learn more about the app, click here. To learn more about the five ways to pay tolls incurred on The Toll Roads, click here.